Generators can be scary, confusing, and can require a lot of setup to really get the most out of. Most people are looking to just yield a statement so that certain async actions can occur in a specific order; this is most common, from what I have seen, when dealing with mongo read writes when using promises. In reality the patterns what I will go over can be applied to any promise or none promise based setup where you have multiple async operations that you may or may not have to wait on. If you are not familiar as to what Bluebird.js is here is the skinny. Bluebird.js is a library that fills a single purpose : Better, faster promises and support structures. The Bluebird team has done a great job at making Promises fast and accessible to a variety of environments which makes it a great tool for any node or front end project looking to ensure that the Promise spec is met and usable. Being able to rely on promises and generators being available is key to a lot of the work I do these days as they help control the flow of things like multiple atomic operations occurring inside of a single controller action making the action none atomic as a whole. This kind of thing can become a nightmare when dealing with in order writes or reads from say mongo. If you haven't heard of or your knowledge is just lacking a bit on generators here is a quick description : Generators are functions that can be executed and then exited, but with their state maintained, and then reentered at another time. Many people ask why I don't just use async/await; without creating a debate or an entire article it is mostly due to the fact that at async/awaits core is generators. I prefer to use the common denominator. In addition to that Bluebird is simply faster then the native promises and other libs that provide other limited functionality sets. Refer the benchmarks link above for more info on how those benchmarks are created. Finally lets look at some code! The Generator syntax is very simple and should look pretty familiar aside from a single difference. You will notice the * at the end of the function, this is what defines the function as a generator which allows us to exit and reenter the function using a .next() method. It reality all a generator is, is a constructed Iterator type but with some additional functionality that is beyond just a primitive type which allows for better flow control. With the example above we aren't really doing anything that a primitive Iterator type can't do such as a Number type. However it is important to observe that you have flow control that you don't with the primitive Iterators using the yield keyword. The yield keyword is an actor that functions like return but functions differently in an important way. Yield maintains the generators memory state which is what allows for the iterative functionality that you can control. The state of the generator is always at the line of the yield keyword just passed the value after it. Let us take a look at what is happening behind the scenes for us here, which will give us a better understanding of how to interface with generators as an Iterative type. Since a generator is technically an Iterator type, it exposes all the normal Iterator methods, this includes .next() as shown above. This is how you reenter a generator that has been stepped out of using the yield keyword. When you reenter the function it will continue the generator execution at the point start after the line terminator of the yield statement. We have seen the next() method in action to continue till the next yield call in our generator. Next() can do a little more then just tell our generator to continue; it allows us to pass values into the generator for the duration of the execution up till the next yield that we can use or store for a cumulative value return from the generator. Here is an example on the cumulative return of some numbers that we will pass into the generator mid execution between yields. This method of execution is much more controllable when dealing with the aspects of potentially unknown amounts of processing or long running processes such as job queues, stitching DB query chains, or loop processing. It is also worth noting how the data is returned from the .next() method. is an object literal with two fields: value, and done. The value is whatever value you yielded in the generator; the done field represents if the generator ran into another yield statement or not denoting that the execution loop or sequence has completed within the generator. Sometimes you need to be able to cancel the execution of the generator based on a result of the yielded value that was returned when an iteration has occurred. The throw() that the generator interface allows you to define a try/catch in your generator which will get caught within the context of the generator; this allows you to either re-throw the error or let the error bubble up to the parent execution scope that invoked the generator. As shown above you can actually pass in the error you want to be thrown inside of the generator. This pattern can help dealing with scope hell when dealing how your generators exit before they are technically complete. Every once and a while you will need to get the current value of a generator when it is in a completed state or more likely; you will need to end a generators execution sequence early but you don't want to throw an error. The return() method does exactly as described it simply allows us to end a generator execution but without throwing an error. If you give the return() method a value as a parameter the value returned, which is the same as the type of return you get form the next() method, the value property will be the same value you passed in to return(). This can be useful when creating reusable components, or when using a factory pattern that can return a generator. The Bluebird.coroutine() does a few things that are different. First off the result of the invoking the Bluebird.coroutine() method is that it returns a Promise that is resolved when the generator that is passed in returns the state of done : true. This means that you can suspend the execution of entire Promise generation functions with pairs nicely with the ability to wrap nearly anything us Bluebird.promisfy() which will ensure that any callback based method returns a promise instead. It is important to note that when you wrap the generator in the Bluebird.coroutine() you need to return a promise both when you yield or what you use return. This is because the co-routine is iterating your generator for you and is looking for both a done state and a promise resolve on the promise state. It is also worth mentioning, that the results will only print after 1 second has passed. That is how you know that your generators yielded statement is actually being hit. This is due to the generator returning a Promise that delays the setting complete state for 1 second ( 1000 ms ). Note that you can also change the order in which something will and get resolved just by changing what gets yielded or moving the statement all together. Much of the time you have maybe a single operation that then multiple operations depend on for data to complete their processing. Coroutines help a lot with this issue when combined with the Bluebird.all(). The .all() method allows you to await the results of many promises at once and then get the results all at the same time; this paired with the fact that now your generators can return a promise instance makes controlling multiple async operations a snap. There is a lot more that you can do with this pattern outside of DB calls and simple processing methods and modules. You can take your implementation a bit further by pulling in and using clustering with Node. Clustering is a basically how you do something much closer to true multi-threading with Node. To do something like this you can wrap the signals that a child process would send with data with a generator function which would allow you to yield the execution of say a function processing a network request to wait for the worker thread to be completed. That would allow the master thread to field other requests coming into the event loop while checking the status of the yielded call on every event cycle. This is a subject that will require another article; and is one that I choose to write. But it is worth thinking about and at least knowing about when using things like generators, promises, and Bluebird. Included is what that logic flow looks like without the coroutine and yield. If nothing else it is easy to see that it creates much more readable code that will be much easier to deal with while you're working on it and in the future when someone else has to deal with it. I use the pattern(s) shown here for all kinds of implementations from APIs to heavy processing using clustering. I've been using Aurelia since it was first available to the public. I have made a lot of bad decisions with it and a lot of good ones over the course of the last year or so. One project that I embarked on had a large amount of forms that needed to get filled out, validated, and sent to the server that expected the data to be in a particular format like any other API call. I was using mongoose on my back end as it was Node.js powered with mongo as a storage solution. I really wanted to find a way to reduce the the overhead of form validation and value selection. So I went to take a look at mongoose for the browser, nothing extreme just a way to bind the validation I already had in my schemas for the back end to the forms on the front end. After finding that to be a relatively easy task I then had to find a way to get my schemas to load into the browser and into my node modules. I first tried some old crusty methods of wrapping the returns in various statements depending on if env variables could be found to determine if I was in Node land or Browser land, but ultimately it became way to bloated to be included in every schema that I wrote. So I moved on to a cleaner solution of browser first. Since I was using Aurelia and Babel to handle keeping things clean and the live transpiling I could just write straight ES6 style schemas. 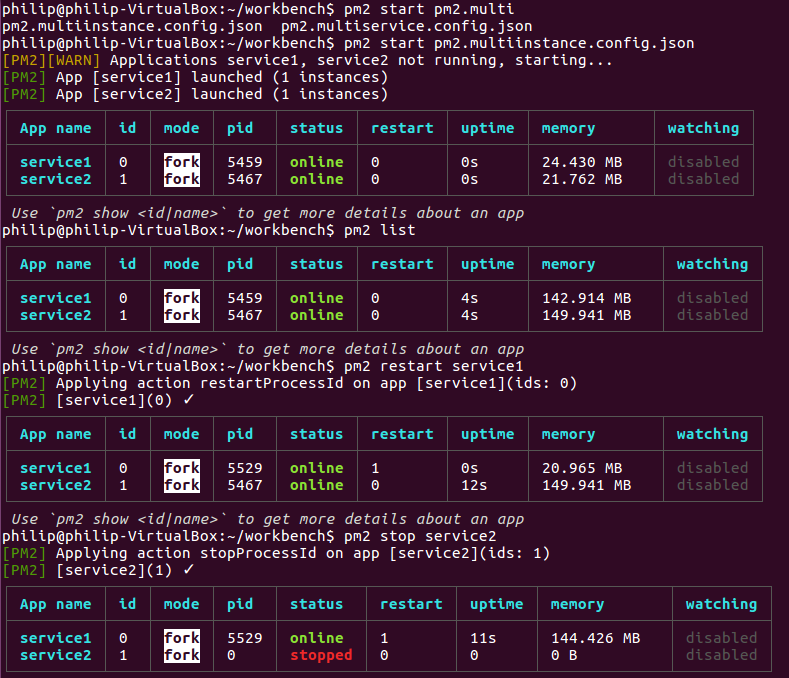 which I could then load using Babel on the backend as well. thus began the journey of my mongoose schema input custom attribute in Aurelia. This obviously is not very exciting in and of itself; however it shows some key interactions with the Aurelia component life cycle. These life cycle methods on the class get called by Aurelia when our component is constructed/deconstructed and attached/detached to the DOM, this is bind and unbind respectively in our class definition. onChange event support for things such as dropdown menus, multi select, and radio buttons. No jQuery, only core JS. Most of these properties are pretty self explanatory with the comments provided in the code sample. Most of these are just properties that get bound from the parent view model so that the attribute has access to the memory reference so that two way binding can be used. It is worth mentioning that we explicitly make the binding type of the component two way, this is to enforce the behavior between the view model and the attribute references. So now we have a pretty solid skeleton for the functionality that we can load into a view model and use as an attribute on a input field. Sadly so far it doesn't really do anything; the functionality still needs some scope as to how we bind it to the view and the view model. Lets go over how we want the HTML and ViewModel to look like when using this custom attribute. We really don't need much in the view model here, just a callback and a mongoose model. Normally I would suggest creating your schemas separately and importing them; but for the purposes of this example we will define the schema inside the view model. The callback that you pass to the validator attribute gets passed either an object containing the path that was validated if it was successful or the error object that the mongoose validator returns for that paths validation call. Now that the attribute has some functional scope with how it will be used and integrated the logic within it can be defined. The full attribute logic will be given below and then each piece will be covered. I feel it is easier to understand and explain code when you get the full block to browse over and absorb at your pace and then move forward when you are ready. Our constructor does not do a lot of logic here, we simply assign the element handle to a property on the class instance that gets passed to it by the Aurelia injection/creation life cycle. 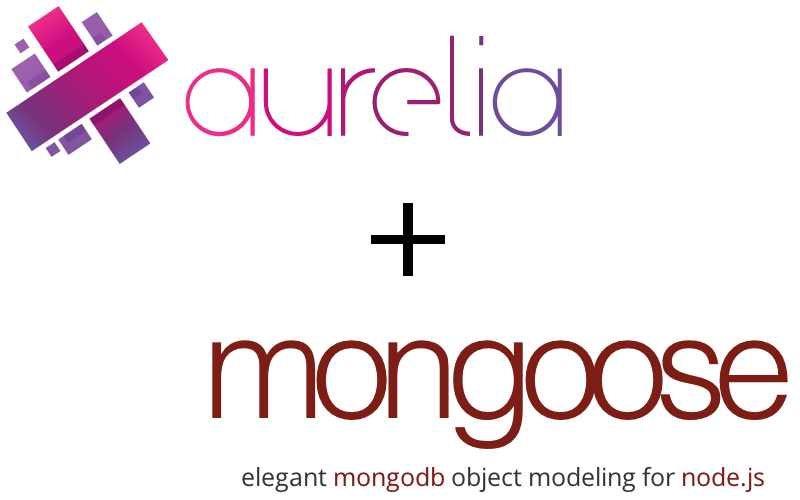 We also create and grab a logging instance from the Aurelia framework. The Bind method is invoked by the Aurelia life cycle when the attribute is bound to the DOM and the view model of the outer template instance that the attribute was required in. The Bind method is passed the context of the parent view model which allows us to invoke methods that are on the parents scope ( like we do with the callback that you pass to the validator ). A word of caution : It's tempting to use this context for direct bindings to the parent scope instead of doing the binding on the template/DOM level ( What I personally call Angular Scope Hell Syndrome ). This really is not the best way to do this and creates very tightly bound component that relies on things to exist in every view model that acts as the parent context to the custom attribute which makes it very brittle and not reusable. Unbind is invoked in the life cycle of the attribute when the attribute is detached from the DOM and current route scope. In this case it is used to remove the the listeners that were attached in the Bind method. Because of the fact that the mongoose document validates all fields whenever you call the .validate method we have to look for our current paths error specifically by using the path string. If we have a validation object and we find an error matching the path string that was bound to the instance then we throw a not validated error. If we do not have any validateResult object then all is well OR if now error was found for this path then it has passed validation. In either of these cases we either add or remove the error classes that we also bound in the HTML bindings. These error and success classes do have defaults as seen in the class property definitions but those can be changed to suite any of your needs. Due to the fact that I didn't want to use anything but pure JS for this the validateField method seems a bit chunky and I am sure could be reduced in size with some modifications. But this blog isn't about perfect code, it's about learning. The validateField will apply the error or success classes to the parent of the input field. This allows you to wrap your input fields and have them show the errors based on the mongoose validation result. The valueListener method is what actually gets attached to the event hooks on the element that the attribute is instantiated on. ValueListener is where throttling is handled via some simple time out mechanics that aren't very mysterious. Basically all that happens here is the throttle flag is set when we start validating the field and then when another request for validation comes in we set a small timeout for the next validations to occur in sequence. While not perfect it does work, though I do have the thought of potentially using the binding behaviors here that Aurelia comes with; I will add my findings when I get to that here. It's been a quick and hopefully painless ride to our custom validation using mongoose schemas on the frontend. Here are some examples of the forms that I have put together using this mongoose method. The icons on the right of the input fields change depending on the success and failure classes that get added or removed to inputs parent. I set it up this way so I could add other elements in the same element as the input which could pick up on the success or failure state of the input field; but that is a another article.